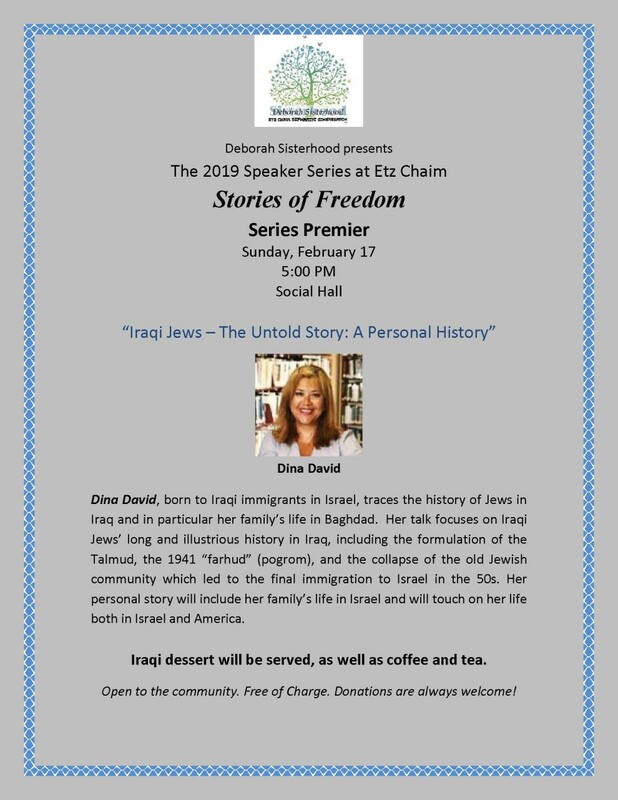 Stories of Freedom Speaker Series Premier: Lecture #1 Dina David | Jewish Federation of Greater Indianapolis, Inc.
Iraqi dessert will be served, as well as coffee and tea. Open to the community. Free of Charge. Donations are always welcome!